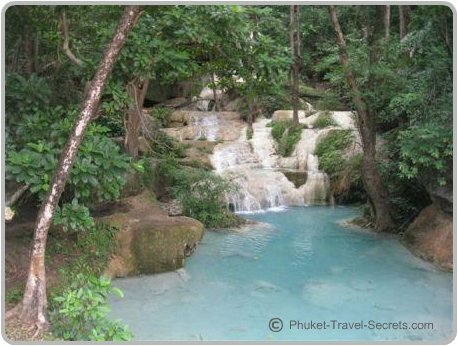 Erawan Falls are spectacular and are a must see natural attraction for anyone visiting Kanchanaburi in Thailand. 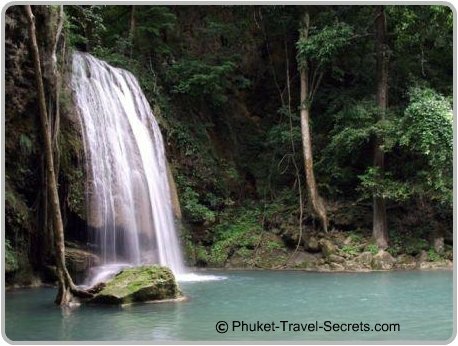 The spectacular Erawan waterfalls are situated within the Erawan National Park around 70 kilometres from Kanchanaburi. The falls are one of the most popular attractions within the National Park. Erawan waterfalls consists of 7 cascading tiers; each of the seven waterfalls are beautiful and somewhat unique and are loaded with an incredible amount of fish. The first couple of tiers are perfect for families with small kids or for those that don’t want to hike all the way to the top of the waterfalls. The lower level swimming holes are ideal for the kids with crystal clear water, with areas where you can enjoy a picnic lunch or just sit back, relax and enjoy the beautiful scenery. The trail leading to Erawan Falls starts out easy with relatively flat paths all the way to the second tier. Further along the trail is check point where you are required to register and pay a small deposit to the Park Rangers to enable you take your plastic water bottles further into the National Park. From memory the fee was only 20 baht per bottle, if you don’t pay the fee you will have to leave your water bottles at the checkpoint and pick them up on your return. When you return to the checkpoint with your water bottles the deposit is refunded. This is a clever way to stop people from leaving their rubbish within the National Park. The trail between the third and fourth tiers are a little more demanding as there are stairs to climb. As you ascend higher from level 5 through to level 7 the trek becomes somewhat harder and the track becomes quiet narrow, the hike to the seventh tier is around 1.5km. 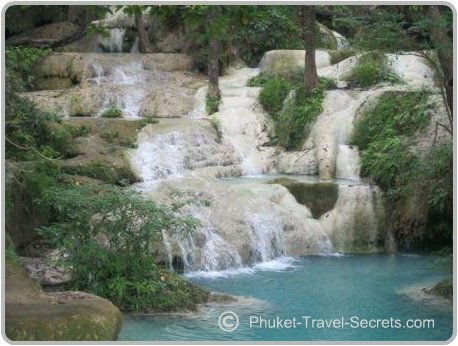 Erawan Falls are not just a popular spot for tourists, but for locals as well. 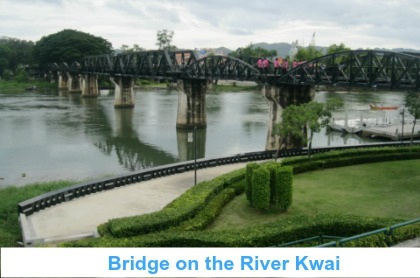 The area can get somewhat busy if you choose to visit on a weekend or a public holiday, as this is when locals come to enjoy weekend getaways with family and friends. 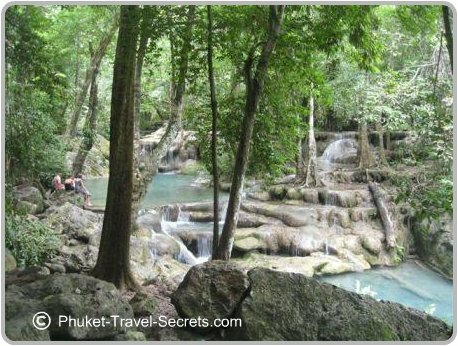 The best time to explore Erawan National Park especially if your going to hike to the top of Erawan Falls is on a week day. To beat the heat and the crowds it is best to go early in the morning, the hike to the top of the falls takes sometime, so allow yourself at least 3 to 4 hours. Before you start your hike up to the falls, make sure you have enough water. If you don’t take any with you there are a couple of shops and restaurants located near the car park where you can purchase a range of goods and the meals are excellent. I wouldn’t take any food with you on your hike as there are lots of monkey’s looking to take what ever they can. Have something to eat before you leave and just take a bottle of water. 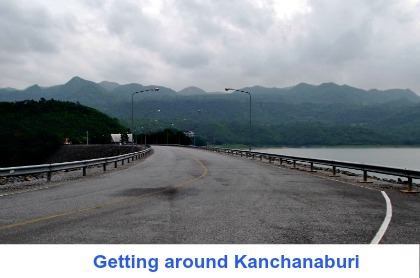 The Erawan Waterfalls and National Park was one of the highlights of our trip to Kanchanaburi and I would recommend anyone visiting Kanchanaburi to make the effort to explore the natural beauty of the area. 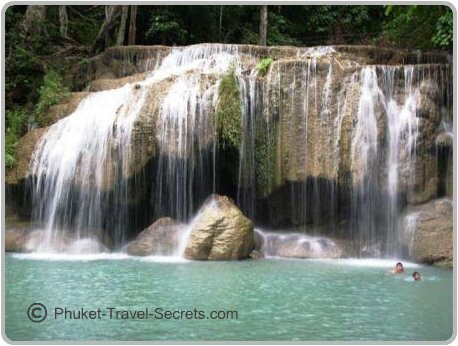 Erawan Waterfalls and National Park is open from 8.00 am till 4.00 pm daily. 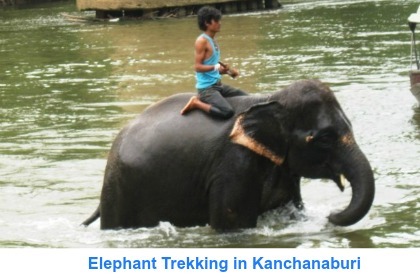 Entry Fee into the Erawan National Park is 200 baht per adult and 100 baht per child. 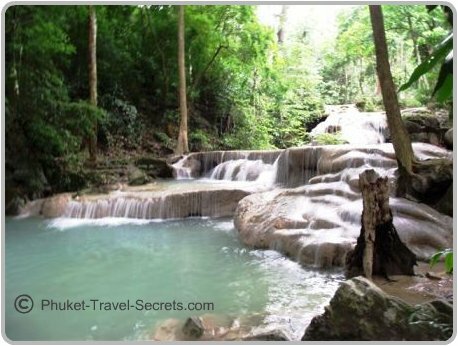 The easiest way to get to Erawan Waterfalls and to see the other sights in the Erawan National Park is to hire a car or a motorbike. 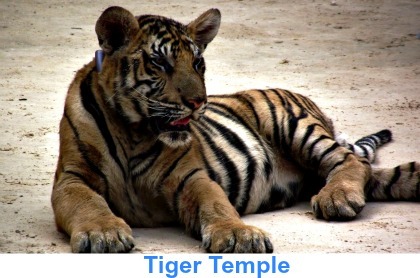 However due to the distance a car is much more comfortable and quicker then a motorbike. If you choose to drive yourself get a good map and follow Highway 3199. 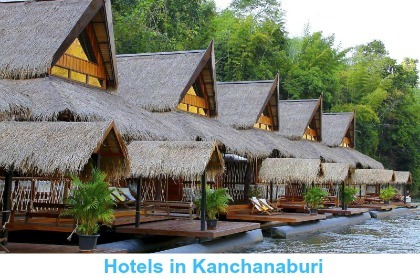 Or alternatively you could hire a car with a driver or catch a bus from Kanchanaburi to Erawan Falls or book an organized tour from one of the travel agents in Kanchanaburi.